It's fairly safe to say, we have all experienced the inconvenience of losing power while out and about. And yes, as luck would have it, batteries tend to die at the most inconvenient time, just when we need them most. NO MORE! 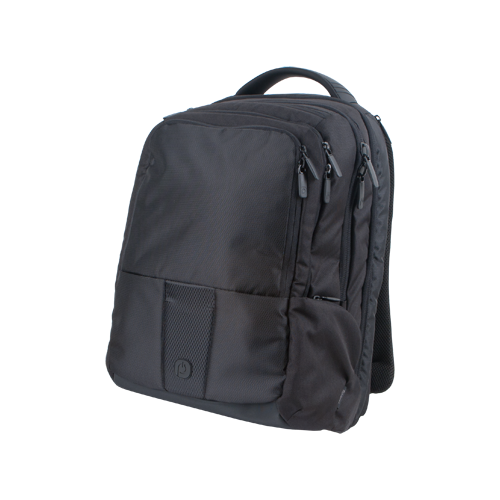 Powerbag™ has incorporated all of the style, function, and POWER that you need into their new line of innovative backpacks, messenger bags, and briefcases! Parents and kids: you never have to worry about the inconvenience of a drained battery again! Powerbag has incorporated BIG battery power (Powerbag's are equipped with a 3000mAh, 6000mAh, or 9000mAh battery - depending on the model) into their designer line of bags. Many of the bags in the Powerbag lineup are exclusive designs by ful, so there is definitely something to suite everyone's style preferences. Each bag includes an Apple connection, a Micro and Mini USB Connection and a USB port for use with your own cord; allowing you to charge up to four devices simultaneously. With all of the included connections you can charge Android Smartphone's, iPhone's, iPad's, iPod's, Android Tablets, MP3 Player's, eReader's, and MORE! Our favorite part about it all (aside from the fact that this is ONE VERY COOL CONCEPT) is that they have managed to conceal and streamline all of the included connections and the external A/C port. Everything, right down to the design of the A/C adapter (which wraps up nicely around the housing and includes a fold flat feature) was incredibly well thought out and has been executed seamlessly in the design of these bags. The business class pack (see above video for my full review) offers space and fully lined compartments galore! It also has the ability to charge your typical smartphone up to four times on one full charge (of the bag)! The "fold flat" feature has been incorporated into the design of this bag as well, making it super convenient to travel with and is "checkpoint friendly"; no more fumbling to remove electronics and laptops when going through checkpoints in the airport (amen!). 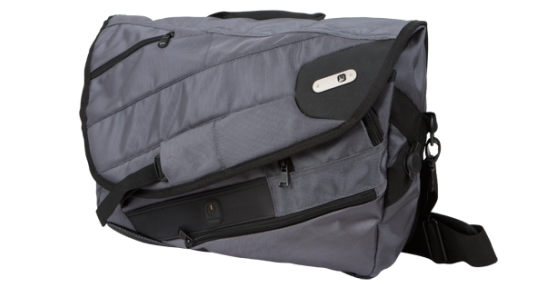 Check out my full review of the Powerbag Business Class Pack in the above video. Powerbag is sure to be a HUGE hit with the kids (and adults alike) this Back to School and Holiday Season! Equipped with a complete charging system -- battery, Apple connector, Micro- and Mini-USB connectors and an on-board USB port – Powerbag is ready to charge up to 4 devices at once anywhere, anytime. One Powerbag charge will boost the average smartphone at least 2X, and having the most common connectors out there means HUNDREDS of devices are covered. Even eReaders and tablets can be topped off! Plus with exclusive designs by fūl, carry everything you need in looks that suit your style. Ready to experience Powerbag for yourself? One (1) One Savvy Mom reader will receive a Powerbag Messenger bag by fūl (pictured above) [ARV $139.99].